It’s good news that your baby has started growing teeth. But do you know that the kids feel enough pain when they are growing teeth? And they often start crying when they feel some pain due to such issues. 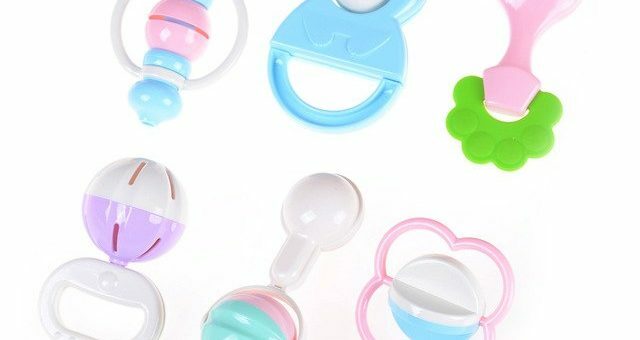 So, if your child also cries more often, you need to find the best baby teethers for them. In fact, we recommend teething toys for every child that is 4-6 months old because the kids usually start growing teeth in this age. However, there are some kids that start teething earlier or later based on their genetics and other factors. No matter how old your kid is, it’s difficult to find the right teethers for the baby. According to our research, the Bubba Chew Teethers are the best option for kids that have started growing teeth. But we have also created a list of teething toys the parents can buy for their growing child. So, let’s take a look at the different types of teethers so you may find the best one for your child. The Teething rings are usually prepared with solid plastic and sometimes they are filled with water. These teethers are basically recommended for kids that have recently started growing teeth. These teething rings usually come with the subtle texture and they have the ability to soothe your baby’s tender gums. Teething Jewelry hasn’t been around for a very long time but it has proved to be very helpful in soothing your kid’s tender gums. There are different types of jewelry items designed for this purpose including bracelets and necklaces. The baby can easily chew these items as they are made of extremely soft material. You can either make your child wear this jewelry or wear it on your own hands. Novelty Teethers have been around for a very long time and they come in different types of fun sizes and shapes. For example, the Novelty Teethers are usually available in shapes like banana, bacon, or a piece of pizza. Similarly, they are available in plenty of other shapes. So, you can buy these teethers to make things more fun and entertaining for your kids. The kids can use the Staged teethers for all stages of teething. 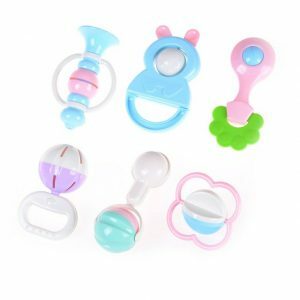 These teethers work perfect for parents that don’t want to buy a new teether after every few weeks. 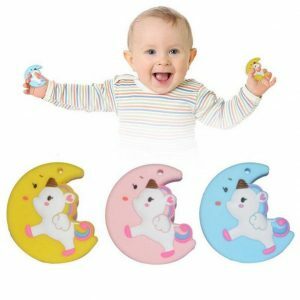 These teethers come in the pack of 3-4 and they can be used for different stages of teething.